Never underestimate the power of a homemade banner when it comes to decorating your house! It might not sound as the most beautiful decor in the world, but when done the right way, the banner can make any room look prettier and feel more cozy. 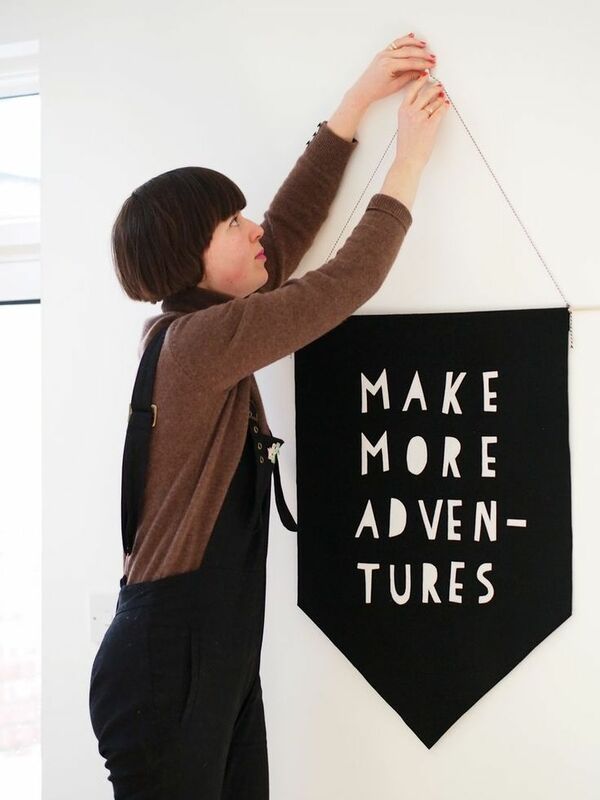 Below you can find ten ideas on DIY banner – these are all simple, beautiful and budget – friendly home decor projects that you can do by yourself or with a friend. The most important thing is – you’ll have fun creating on your own! There are two important things when it comes to this project – choosing the right canvas fabric and the right word. You have plenty of choice and that will be especially helpful for you, as you can adjust the material to any room. Pick your favorite word – joy is a nice idea because the word itself is nice, but feel free to pick whatever you want! We all sometimes struggle, so it’s important to have something that will remind us to stay strong and inspired. It can mean talking to a friend, reading an inspiring story, listen to encouraging podcast or it can mean something as little as a banner decoration, somewhere in your room! 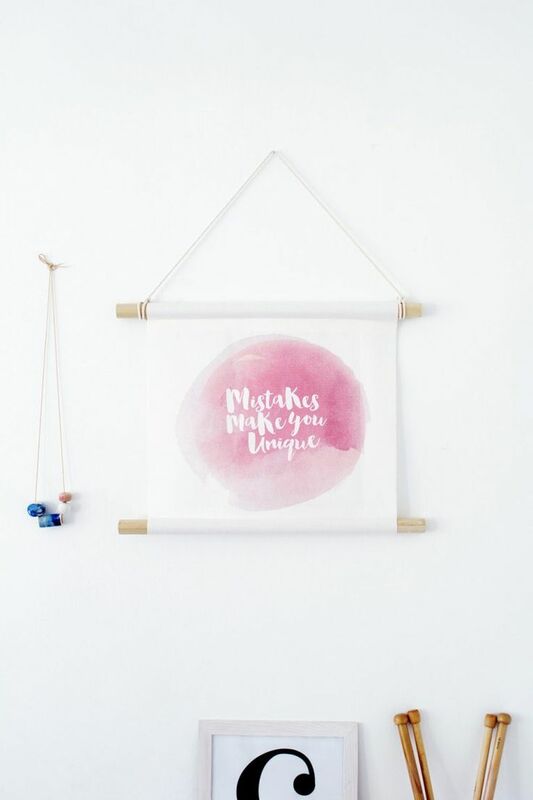 This banner is such an amazing combination of watercolors and calligraphy. 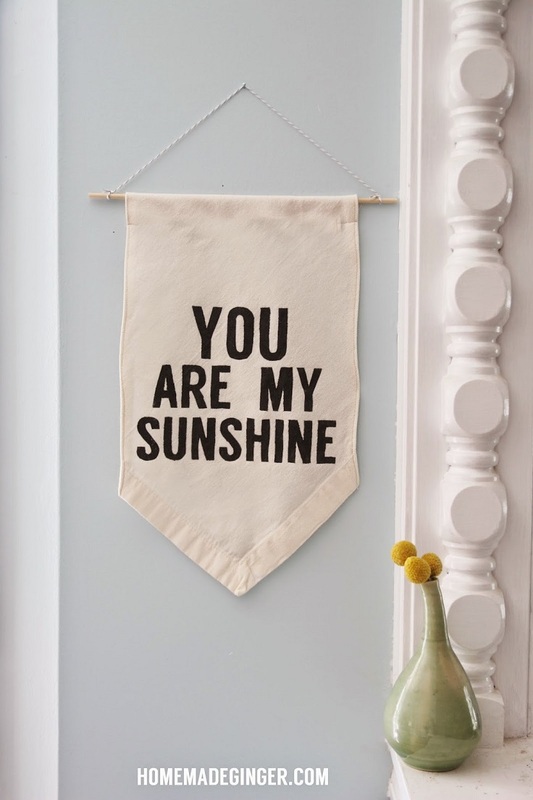 Just choose your favorite quote and roll the sleeves up for this DIY banner. 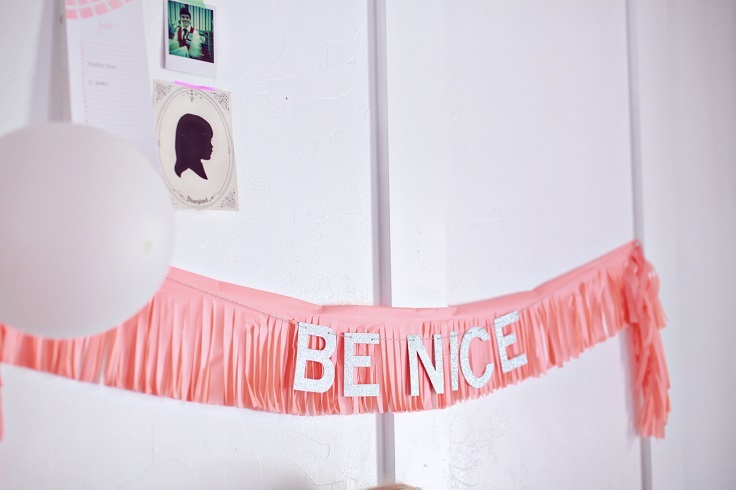 Fringe banners look really cute and unique, and they are one of the best decor ideas when it comes to birthdays. It’s a fun project that leaves you with plenty of space for your creativity. For example, you can go on further decorating the banner with glitter letters. They can make an interesting contrast and thanks to being glittery, they would certainly catch everyone’s attention! Super easy and super cute – if this is what you want, then you hit the jackpot. 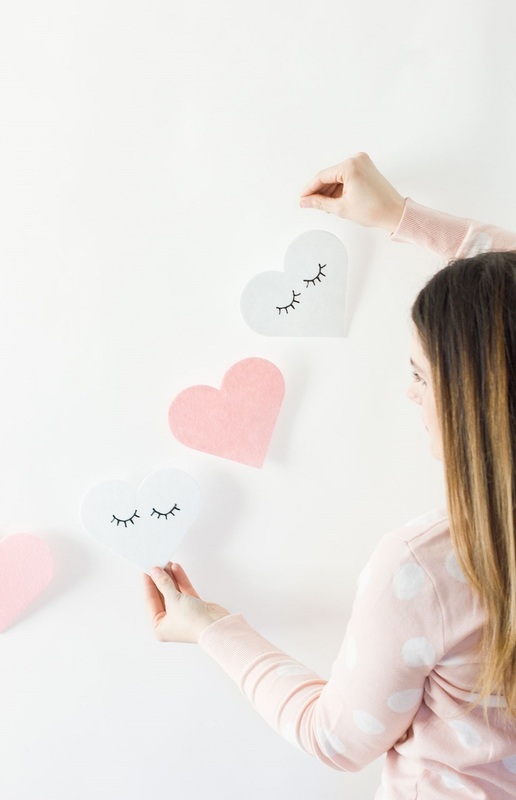 For this project, you just need to find felt hearts to use for your banners, or you can just get fabric and use heart cutters to help you shaping. What you’ll also need are the following materials – black puffy paint, fishing line and sewing needle. That makes this project budget – friendly as well! There’s something about pom poms that make them look so cute and joyful! Luckily, there are so many ways you can include them in your homemade banner. This project is fun, easy and budget – friendly. 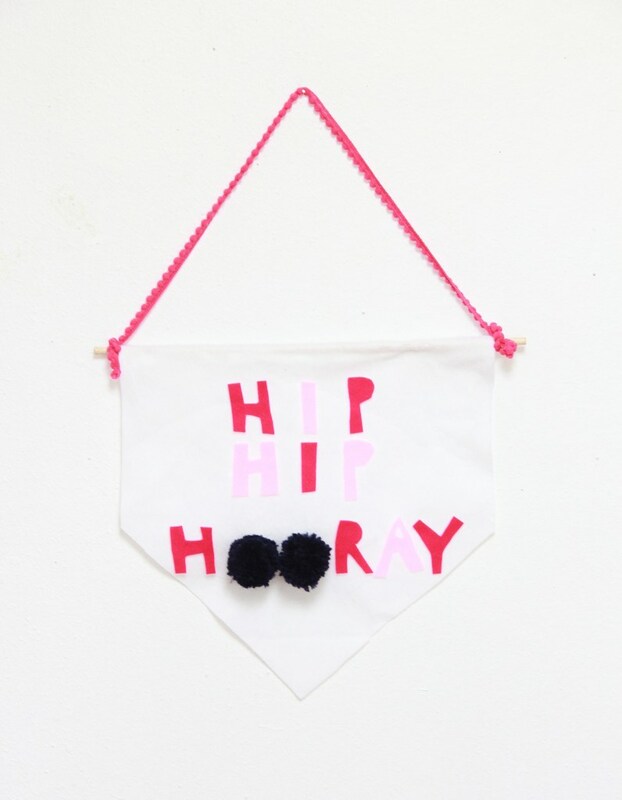 You need these materials and tools in order to make it – pom poms, felt 8X10 sheets for letters, long felt roll for banner, wooden dowel, glue and scissors. New Year, new resolutions, right? Instead of writing down stuff, how about being more creative and make a resolution banner? This way, not only you will have your thought written down (well, sort of!) to serve you as a reminder, but it will also serve you as a nice home decoration! Think about what would you like more – adventures, love, laughter, the list is endless. As simple as it can be. 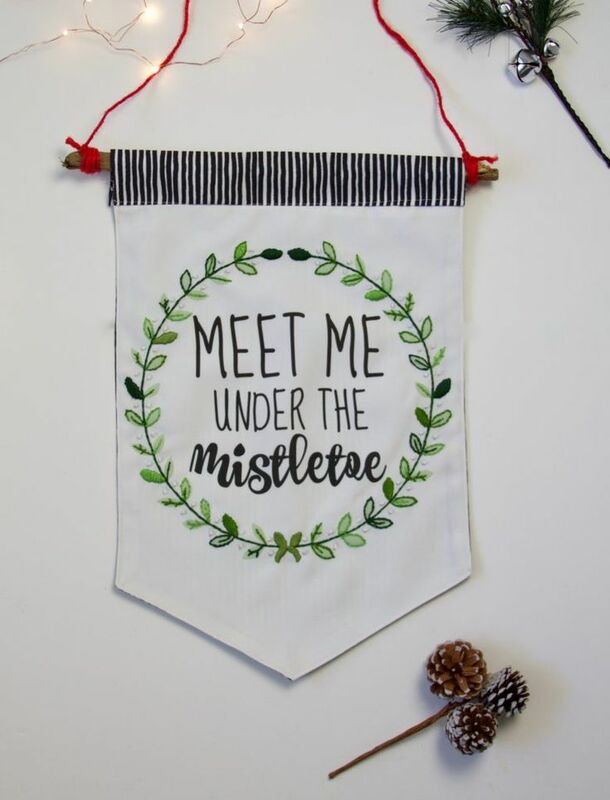 If you don’t want your banner to be too colorful, or to contain too many patterns or elements on it, you can go for the simple way and that means just a short quote on a fabric banner. Here’s what you need: white or cream colored fabric (feel free to use an old sheet as well), scissors, thread, freezer, paper, craft knife, black fabric paint, foam brush, small dowel and twine. 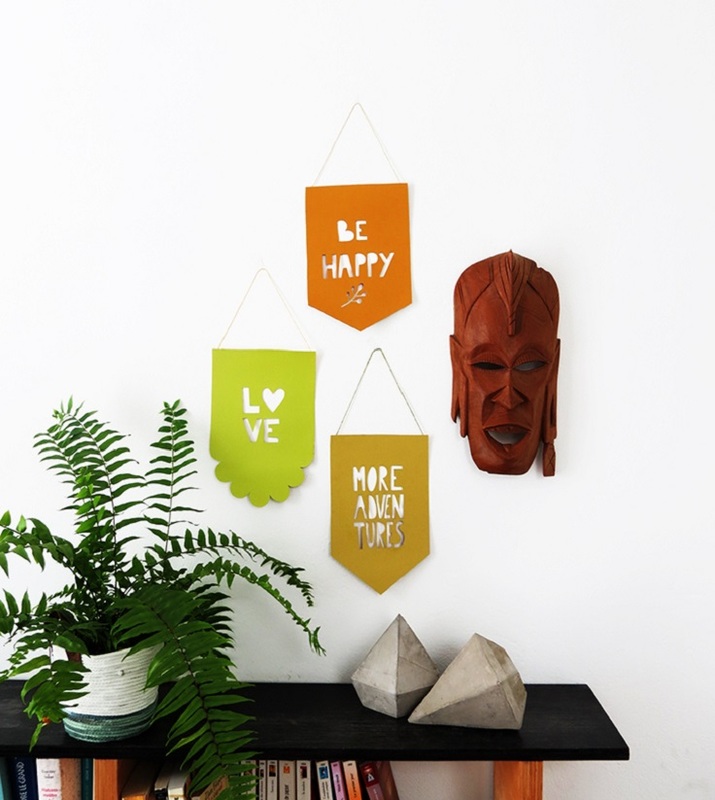 Small, colorful banner flags are the perfect way to add some bold detail in your room. Plus, if you write down lovely words, your banners are going to be even more lovelier! Happy decorations are always welcomed, as they can lift us at least a little bit during hard time. For this project, you need some cereal boxes, scissors, a cutter, a ruler, some acrylic paint, a brush, a pencil, some glue and some rope. The holiday season is over, but here’s an idea to consider for next year. 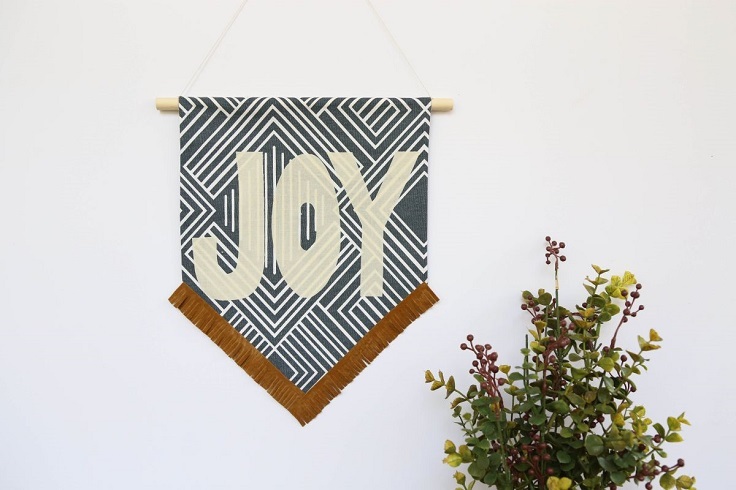 This holiday – inspired banner is a simple decoration that can bring such good vibes into the room! However, unlike the rest of the projects on the list, this one requires you to know some hand – embroidering. It makes it more ‘home sweet home’ and who doesn’t want that feeling? We’ve already shown you banner quotes, banners that include painting, embroidering and gluing stuff, but the last project on the list is for the flower lovers. 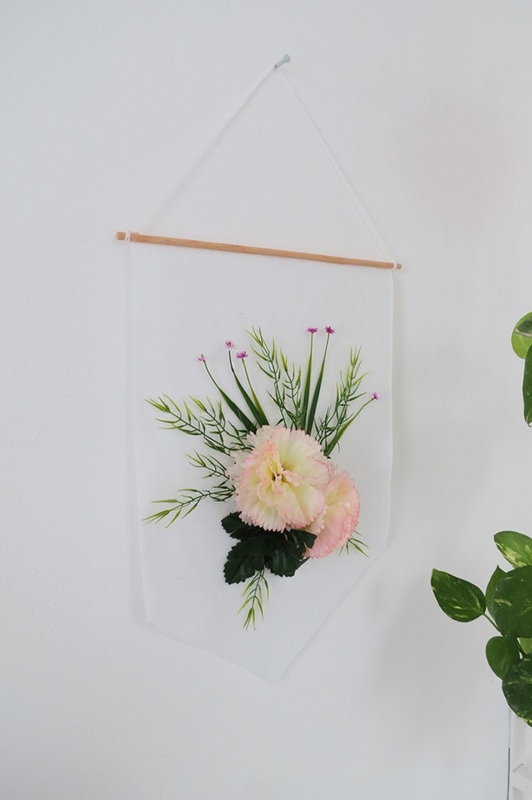 For this project, you need the following materials and tools – a piece a felt, artificial flowers and foliage, silicon glue, a small dowel, some rope, a pair of scissors, a ruler and a pencil. Simple and beautiful!